Collusion with an enemy is treason. Allowing a president to continue supporting and defending a country and a leader that is attacking our country is treason. Supporting and defending a president engaged in treason is complicity. If you need examples, look no further than the Republicans on the House Intelligence Committee voting to shut down the incomplete and deeply flawed investigation into Trump’s relationship with Russia. They, and every member of Congress that is still standing with Trump, are complicit in his crimes against our nation. Everyone of those refusing to call Trump to account needs to suffer the full consequences of such traitorous actions. Offering aid to our enemies is treason. Protecting our enemies is treason. Keeping traitors in office is complicity in treason. 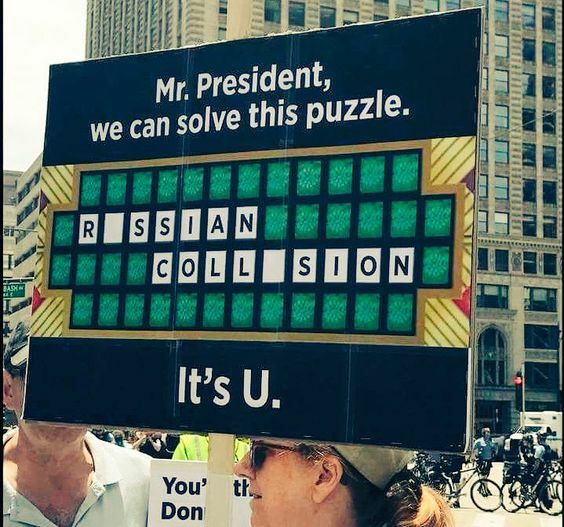 This entry was posted in News & Views and tagged BLOTUS, collusion, complicity, Congress, consequences, greed, House Intelligence Committee, investigation, lying, President, Putin, puzzle, Republicans, Russia, traitor, treason, Trump on March 22, 2018 by Ray Buchanan.